Earlier this year, I introduced a new monthly feature here on Joyously Domestic - Blogger Spotlight. Last month, I featured Tux from Brooklyn Homemaker. 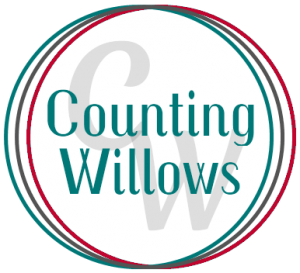 This month, I'm thrilled to be featuring Michelle from Counting Willows. I came in contact with Michelle through our mutual guest posts on another site. She is one sweet lady and seems to share many of the same values as I do when it comes to family, home and life in general. 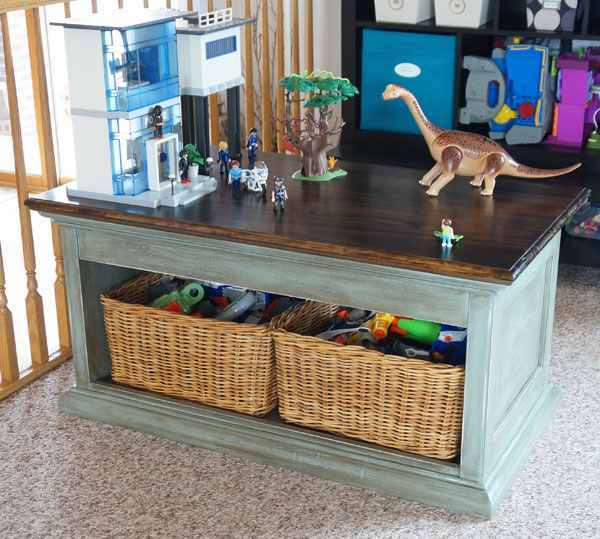 Her blog is a beautiful blend of home organization ideas, cleaning tips, recipe ideas and DIY fun. She, also, shares stories from her busy life as a mom and wife that will inspire us all to take time to enjoy the simple, meaningful things in our often-chaotic, crazy lives. We'd love to hear the story of how you got started blogging. I actually had another blog before Counting Willows. It was called Leaving Excess and I started it in 2008 when blogging was pretty new. I wrote about trying to live a more simple life with less stuff and still run a family of six. I loved the creative outlet, but when my husband was laid off from his job in construction during the recession, I made the difficult choice to go back to work as a CPA after having been at home for over nine years. After a while, working full-time and trying my best to still be the mom I was at home became very tough, so I gave up blogging due to lack of time and energy. Last spring I was able to come back home (I still see clients on my own) and I knew I wanted to enter back into blogging. I have been a contributing writer to another site, but I really wanted to get my creative outlet back and share my home projects, organizing and fun stories about life. In January of this year Counting Willows was born! Yes! Counting fits because I am a type-A, CPA, organizer who loves order and systems. Willows is a reference to my absolute favorite tree, the Weeping Willow. My husband hates them because they are messy, but I love the beauty and peaceful grace about the trees. I realized that it is similar to life - messy and beautiful. At Counting Willows, I share projects and stories about how I joyfully add order to our beautiful, chaotic life. Just enough order to help our lives run more smoothly - without being so strict that it takes the fun out of life. Tells us a little about yourself and what life is like for you on a typical day. My husband, Steve, and I live in suburbia outside of Minneapolis, MN. We have four kids, ages 7, 10, 16 and 18 (the 16 year old is a girl and the rest are boys) and a dog (Mindi) and a cat (Baxter). I recently posted about how I organize my schedule (of course), but I would say my typical weekday starts out around 5:45 am with a quick shower. I sneak in some prayer time (I use the Pray Now app - love it) before waking up the teenagers and seeing them off to school. Then I take care of household chores like sweeping and food prep, while also feeding and getting the younger boys off to school. By 8:50 everyone is gone, so I walk the dog and finish up the household chores for that day (like laundry). Then I work from 10-3. Each day is a different mix of CPA client work, blog prep and writing and projects around the house. By 3:00 the teenagers are back home and want to talk about their day, so I go back to food prep for dinner or other snacks/meals while I chat with them. The boys come home at 4:30 and we get through backpacks, serve, eat and clean up dinner and then everyone is off and running to various activities. If we are lucky enough to have time at home, we hang out, work on projects, play outside and just generally enjoy downtime. We try to get the boys to bed by 9:00 and then Steve and I have about an hour to chill/catch up/work a bit more. We try to go to bed at 10, but honestly any time between 10:00-11:00 is fair game, as the teenagers seem to come to visit later at night. We try to make the most of it because we know they will be off on their own soon. How or where do you find inspiration for the content you share on your blog? When I decided to come back to blogging, I knew I would have to keep the content open because I really wanted to write about what is going on in my life at any given moment. That makes me happy, and even though I would love to build the blog enough to bring in a significant income, let's be honest - it is mostly just donated time at this point, so it might as well be rewarding in other ways. Right now we are preparing for Chandler's (the oldest) graduation party, so the blog is pretty project-intensive at the moment. Over the summer, I will probably share more about gardening and recipes. Organizing and systems that work for us are game at any time, as are life stories and perspective pieces. I usually have at least one project going on, so there is a lot to write about. I love to read other blogs and find lots of inspiration in that, too. What is your favorite post on the blog? Well, that probably depends on the topic, but I am really proud of our play table makeover. It was way outside my comfort zone and I made some mistakes, but in the end I really love how it turned out! 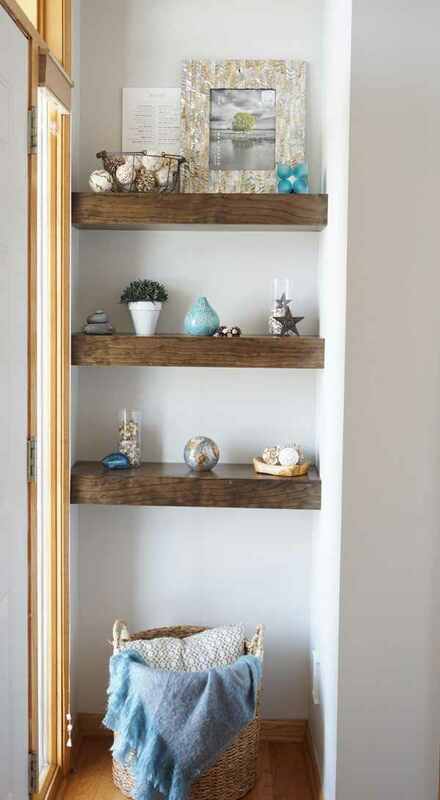 The shelves in the nook behind our door would be a close second (sorry - hard to pick just one). What post on your blog has been the most popular with your readers? The post on our Command Central has the most views because I linked to it in the comments on Young House Love - holy cow! It is the system that runs our family, as it organizes everyone's schedules. I love the system, but I wish the photos on the post were better. I cannot get a good photo of the boards due to the lights in that space. It seems that organizing or cleaning posts are the most popular, probably because everyone wants to get those things done efficiently. Do you have any other hobbies that you'd like to share with us? I love to cook (and I love good food), but I am not great at making my own recipes. So, I just try other recipes (with a few tweaks) and that is why I love food blogs like Joyously Domestic! I appreciate great photography, so I have been taking classes and have already seen a substantial improvement in my photos. That is becoming a hobby for me and it benefits my blog. I also love to read and I love action films (my ten-year-old is my action movie buddy). I love to create and I hate to be bored, so I pretty much always have a home project in the works. I like to learn new things, so I am usually pushing myself to try something new with my home projects. What would be on the plate for your last meal? No fair - that is too hard! Let's see... I probably could live on bread alone, so bread with real butter. A good salad with lots of chopped cucumbers, apples, dried cranberries and pecans. Nothing is better than a good French dip sandwich, so either that or a steak cooked to perfection. I share Angela from Joyously Domestic's love for potatoes, so some cheesy, bacon-y potato goodness would be in order. I would also have to have a chocolate dessert, like chocolate mousse - since it is my last meal and all. I would probably be glad to be put out of my misery after eating all of that! 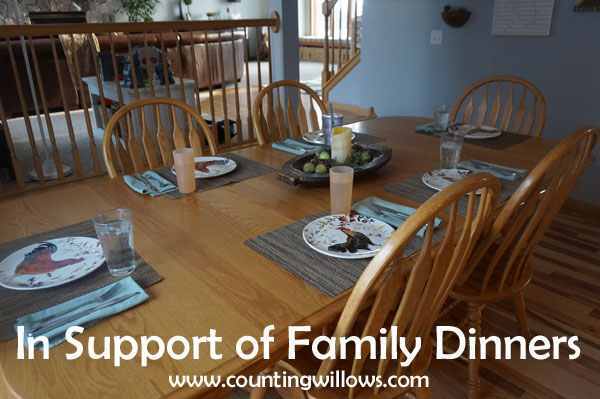 EDITOR'S NOTE: One post on Michelle's blog recently that resonated with me is her In Defense of Family Dinners post. It's about the importance of family meal time and how sitting down together as a family is just as (if not more) important in this day and age as it was when we were all young. 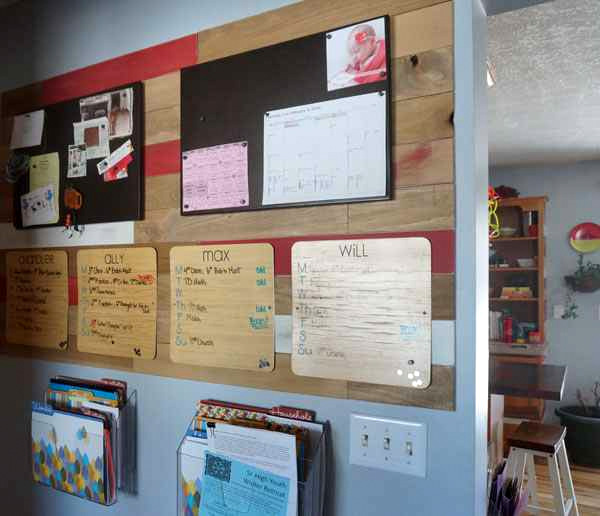 She shares the planning that she does to ensure this nightly ritual happens as well as how the family works together to make it a priority in their lives. I'm so grateful to Michelle for allowing us a glimpse into her life and blog this month here on Blogger Spotlight. I know she'd love for you to stop by and visit Counting Willows. Or, you can check her out on Facebook or Pinterest.